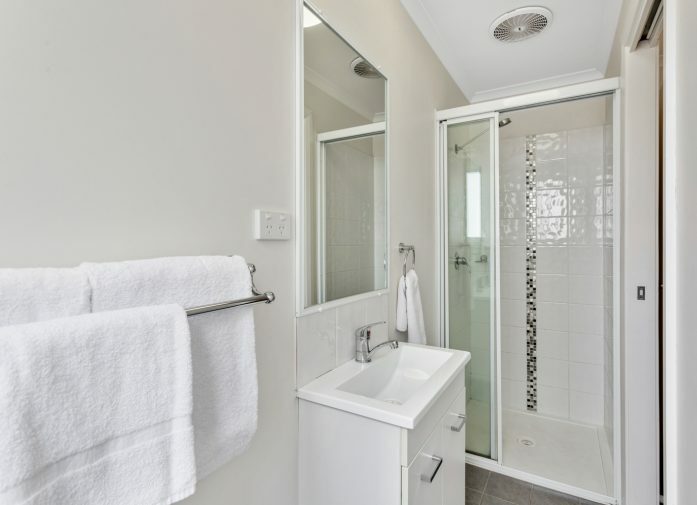 Our two bedroom Merino Villas are the perfect accommodation for a large family, couples, or even two couples looking to share in a terrific location. 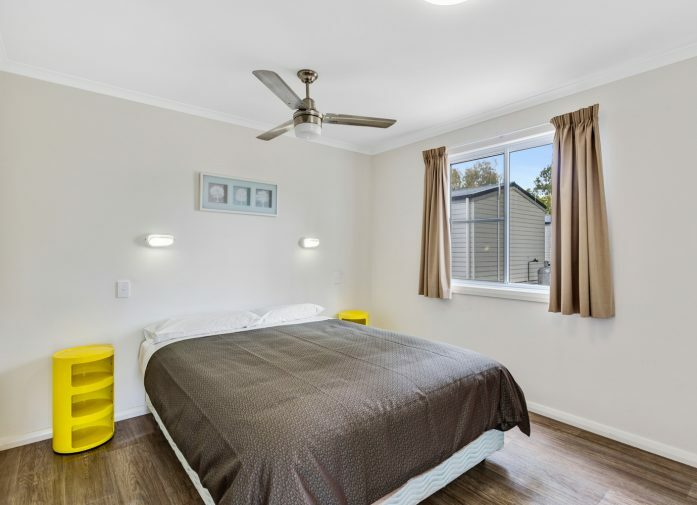 Grassy, shaded and landscaped areas abound and an attached verandah with an outdoor table and chairs allow you to enjoy plenty of fresh air and listen to the sounds of nature calling from the banks of the Narrabri Creek. 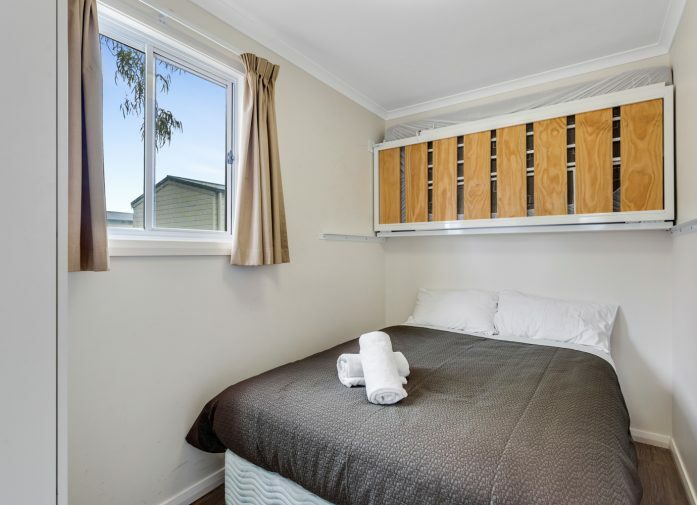 Our Merino Villas are spacious and conveniently laid out containing a fully equipped kitchen, lounge and dining area as well as complete shower and toilet facilities. The kitchen allows for the preparation of basic meals with a stove top, microwave and fridge. 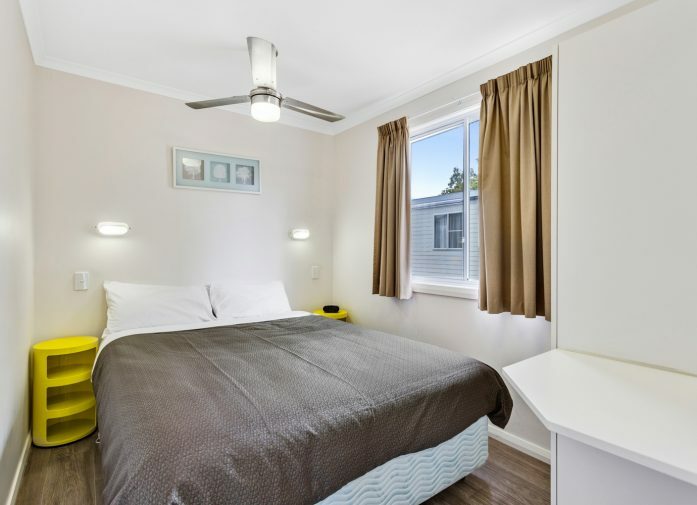 The main bedroom has a queen bed with electric blanket and the 2nd bedroom has either a double bed with single bunk above or three singles. Linen is provided for all beds. 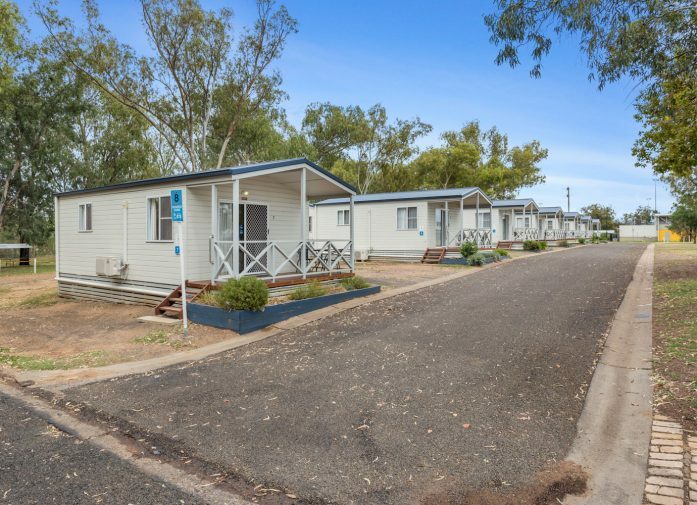 Narrabri Big Sky Caravan Park is the ideal location for recharging on a stopover or just relaxing during an extended holiday, and our Merino Villas are perfect for resting after a full day enjoying everything the park and the Namoi Valley have to offer. 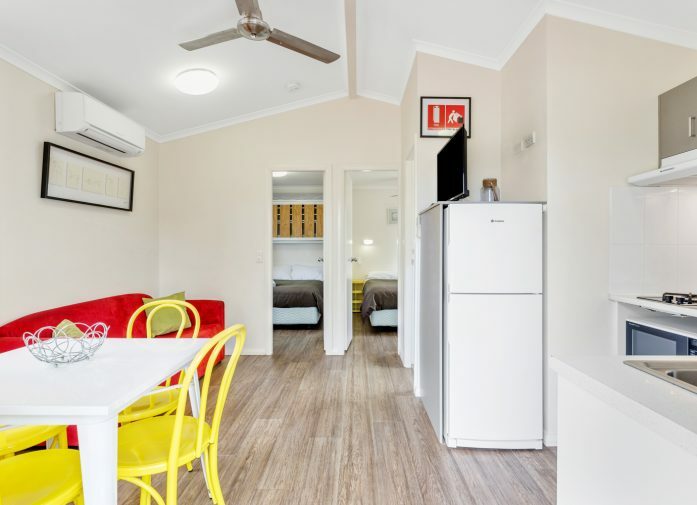 For great value accommodation in Narrabri, there simply isn’t better than our Merino Villas here at Narrabri Big Sky Caravan Park.